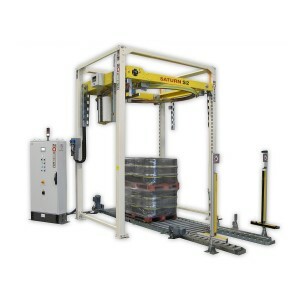 Our fully automatic ring wrappers enable high pallet throughput of up to 160 pallets per hour. 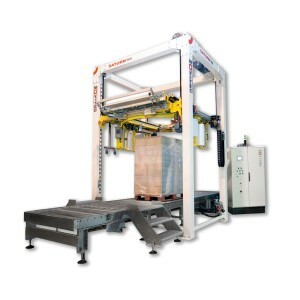 Top performance of this kind is needed above all in highly automated packing lines. 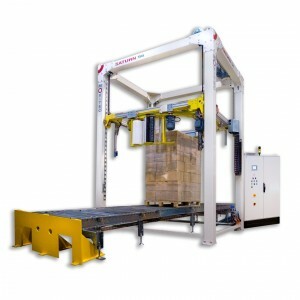 As a rule, conventional rotary arm machines are no longer able to cover this performance range. 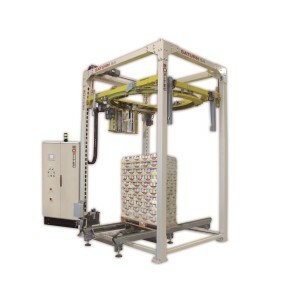 In the case of ring wrappers, the film reels are mounted on a ring rotating concentrically around the pallet. Depending on the wrapping program, the ring is raised or lowered. In contrast to turntable machines, the goods to be packed do not move during the wrapping operation. In the year 2013, eurapack expanded and supplemented the proven range of wrappers to include innovative ring wrappers made by the Spanish manufacturer Movitec. This enables eurapack to meet customer needs in the absolute high-performance range for packaging machines. Installation, service and spare part supply for the Movitec wrappers are ensured directly by qualified eurapack service technicians.